One of only ten or so pubs without a bar counter. Teignworthy Reel Ale seemed to be the drink of the regulars but I had a Quantock Nightjar thinking it must be more local. Tanners TA Gold was also on sale. Classic pub that must be visited. This pub is a permanent fixture in the top 10 pubs in the UK so we thought it would be well worth a detour of 20 miles or so on the way down to Dorset from Oxford. Very good and chiefly notable for not having a bar (locals would appear to linger all day just to derive satisfaction from pointing unwitting customers like me in the direction of the serving hatch). Lots of nooks and crannies and very friendly indeed. A gem albeit a tricky one to get to if you aren't driving. The Rose & Crown was my favourite pub of the day. With its taproom in the centre of the pub, it feels fairly unique. There are several cosy rooms with flagstone floors. 3 ales were being served - Teignworthy Reel Ale, Butcombe Bitter & Goffs White Knight. Cider was Burrow Hill Farmhouse. Locals congregated in the tap room were friendly. Toilets are outdoors. There is also a small garden next to a stream. 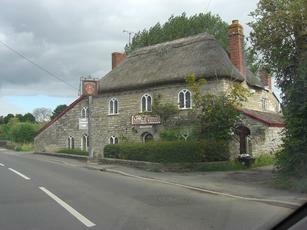 Fabulous pubs with lots of character.